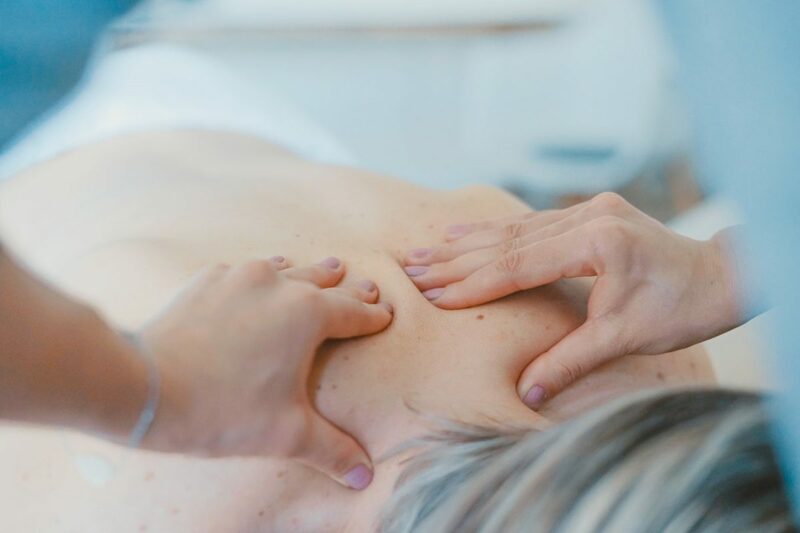 For people dealing with chronic pain and are looking for treatment and relief options, massage therapy may be the answer. Massage therapy can be used to treat a variety of aches and pains and is widely used by medical professionals. In the office of Dr. Raymond Semente, massage therapy in St. James is offered to patients as an effective alternative. When accompanied with chiropractic care especially, results can be astronomical. Stress reliever– Massage therapy has been widely used as a great way to relieve stress. The relaxing nature of massage therapy allows patients to reduce tension of the body and ease the mind. Relieve postoperative pain– If you have recently had surgery, you may be experiencing some discomfort and pain in the area or areas affected by the surgery. Massage therapy can be the solution to managing this pain. We will focus on the area that is causing the pain and work to soothe the pain away through massage techniques. Reduce chronic neck pain and back pain- Massage therapy can help you deal with your neck or back pain. This can be a simple and easy way to living a more pain-free life. Increase range of motion– If the pain you are suffering from is limiting your range of motion, chiropractic care and massage therapy can help. It can work to decrease pain and in turn help to increase your range of motion. If you are looking for massage therapy in St. James, Dr. Raymond Semente’s office provides this service to all of his patients. Improve back health– For anyone living with back pain, massage therapy can be a great help. It can help manage pain and work to reduce the pain from occurring as frequently as well. Massage therapy is a leading treatment option for back pain and used by many chiropractic care offices to help patients. Improve blood circulation: Massage can be a powerful, natural treatment option for a healthier lifestyle. Improved circulation enhances blood flow, lowers blood pressure, and improves body function. Massage therapy is an excellent treatment option for a number of conditions all throughout the body. It has been used to help people manage pain and reduce stress and tension. Dr. Raymond Semente offers massage therapy in St. James and will help put you on the right path to a pain-free life. Be sure to contact us today for an appointment.